Updated Etisalat Easylife 4.0 limited edition, is a Voice based prepaid plan that offers you the best charge rate when calling Etisalat numbers, and other networks in Nigeria and also to some selected international countries. Are you such that makes call a lot, may be your business requires you to make call always to some customers, or always get in touch with your family and friends through calling. know it that this tariff plan easylife is the best for you. 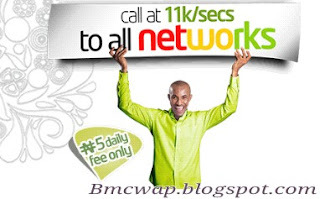 This plan charges 11k/s to all National networks from the very first second your call started and it charges ₦5 for that as the daily access fee. This access fee is valid until 11:59pm for each day. the charge rate of SMS to all local Networks, including etisalat numbers it self, is billed at ₦4 per SMS. Send or text to other countries probably, the selected counties provided above, for the charge of ₦15 per SMS. √ RECOMMENDED: Updated: Features Of Etisalat EasyStarter Plan In Nigeria. Simply dial this *420*1# on your etisalat SIM to migrate to easylife tariff plan. Note: The Migration to EasyLife is free of charge on any Etisalat SIM. But for subsequent migration within a month, will attract a fee of ₦100. Enjoy making cheapest call with easylife.